What's the Cheapest Laptop I Can Get Away With? What’s the Cheapest Laptop I Can Get Away With? $100 — a Benjamin gets you bottom-of-the-barrel hardware with enough horsepower to cover basic computing tasks. But don’t expect anything approaching quality. A lot got shaved off the top to hit that psychological price-point of $100. But if you know what to expect, and what’s worth buying, $100 can seriously go a long way. What Can I Expect From a $100 Laptop? Expect disposability, portability, and basic functionality. Don’t expect quality and performance. Look at it this way: 90% of computer users don’t do much more than browse the web, crank out papers or emails, or listen to music — stuff even a smartphone can do. Why spend $600 on a device (such as the Dell XPS 13 pictured below Dell XPS 13 2015 Review and Giveaway Dell XPS 13 2015 Review and Giveaway The XPS represents the pinnacle of laptop design in 2015, and it's the best bang for your buck out of any laptop we've ever seen in the $800 price range. Read More ) if you’re only going to use it for penny-ante tasks? Those looking to save a buck on a laptop need to choose two things properly: the operating system and the size of the device. In the $100 price range, all other components are virtually standardized. 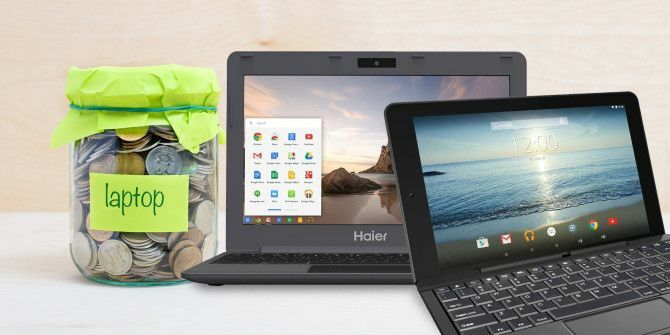 Ultra-cheap laptops come with one of three different operating systems: Android, Windows 10, and ChromeOS. Like all OSes, each possesses limitations. But the most important thing to watch out for? Some software simply won’t run on a $100 system. Windows 10 — Runs all desktop programs but with less speed than either a Chromebook or Android device. For this reason, Windows 10 devices virtually require at least 2 GB of RAM. You’ll often see devices equipped with 1 GB, which you should avoid at all costs. Android — Runs apps designed for a mobile interface. Most Windows apps have an Android counterpart, but a few do not. ChromeOS — Runs 90% of the stuff you’d find on Windows 10, but that 10% can be a deal-breaker. On top of its limited ability to execute programs, Chromebooks cost around $50 more than Windows 10 or Android devices. Linux — Few retailers carry Linux-equipped laptops. Fortunately, most Windows 10 and ChromeOS systems can install Linux How to Install Linux on a Chromebook How to Install Linux on a Chromebook Do you need Skype on your Chromebook? Do you miss not having access to games through Steam? Are you pining to use VLC Media Player? Then start using Linux on your Chromebook. Read More , the open source operating system. With an OS in mind, you need to pick a size (AKA form factor). The size, measured in inches, refers to the diagonal distance between the top and bottom corners of the screen. Smaller screens usually cost less while larger screens offer better visibility. In the $100 price range, resolutions are almost universally 1280 x 800 pixels, which barely classifies as high definition What’s the Difference Between HD Ready & Full HD? What’s the Difference Between HD Ready & Full HD? Television and computer monitor manufacturers can be a sly bunch, using different acronyms to disguise hardware capabilities. Well, worry no more. We've explained what HD Ready really means. Read More . 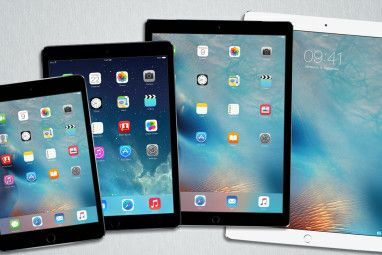 The format is usable on 7-inch, 8.9-inch, and even 10-inch screens, but everything will appear slightly fuzzier and with less detail than more expensive devices. All laptops selling for $100 and under come in these three sizes: 7-inch, 8.9-inch, and 10.1-inch form factors (which we often refer to as netbooks What Is the Difference Between a Netbook, Notebook, Ultrabook, Laptop, and Palmtop? What Is the Difference Between a Netbook, Notebook, Ultrabook, Laptop, and Palmtop? The term "laptop" encompasses so many different types of laptops these days. Here are the important differences between them all. Read More ). Generally speaking, you want to stay away from 7-inch tablet-laptops (also known as laplets) because 7-incher keyboards are uncomfortably small. However, a properly designed keyboard for 8.9-inch and 10.1-inch screens won’t impact your typing speeds too much — even so, those with large hands should stay away. It’s not until you reach the $150 price point that screens reach the 11.6-inch form factor, which is suitable for most users. My recommendation is to use either 10.1-inch or 11.6-inch devices. They strike the sweet spot between usable and portable. Which Laptops Are Worth Buying? Three companies dominate the low-end market for Android and Windows 10 devices: Ematic, E-Fun, and RCA. A few other “manufacturers” exist as well, such as Vulcan. You often see devices from these brands on shelves at department stores. In general, they provide barebones functionality and low cost — ideal for brick-and-mortar stores trying to foist impulse buys off on consumers. Out of this sorry bunch, the best company is RCA based on their one-year parts and labor (but not shipping) warranty and low prices. Unlike some other brands, RCA offers a functional website, telephone number, and email contact for support questions. Even so, I advise looking at your credit card’s extended warranty policy — chances are, your credit card will double the length of the manufacturer’s warranty. Before you buy anything, consider RCA’s history. There’s more to the RCA branding than meets the eye. RCA (once known as Radio Corporation of America) went belly up in 1986. A French company called Technicolor SA purchased the RCA trademark. But it appears Technicolor SA does not design or build their tablets — which means they almost assuredly use a Chinese white label manufacturer. A white label manufacturer allows companies like RCA to slap their branding on what’s essentially a no-name product. I couldn’t verify whether or not RCA uses a white label and RCA didn’t respond to requests for comment. If they do use a white label manufacturer, chances are you can find the device for even less than what RCA charges. It’s decidedly mediocre, yet no superior Windows 10 device exists at this price. The RCA Cambio 10.1-inch 2-in-1 convertible tablet What Are 2-In-1 Laptops and How to Pick the Best One? What Are 2-In-1 Laptops and How to Pick the Best One? 2-in-1 laptops combine the portability of tablets with the ergonomics of a laptop, but are they any good? Is it better to get a tablet and a laptop separately? We explore. Read More offers the flexibility of a tablet combined with the functionality of a laptop. With its maximum six hours of battery life and touchscreen, it’s similar to other hybrid devices like the Microsoft Surface 3. In fact, other than a much lower resolution 1280 x 768 twisted-nematic (TN) display, its internal specs are very similar to Microsoft’s $530 (with keyboard) Surface 3. The handful of websites that even bothered to review the Cambio all rank it somewhere in the ballpark of three-out-of-five stars. The major pitfall to watch out for is its tiny amount of storage capacity (around 32 GB of which the OS consumes 15 GB). Users can expand the storage by adding a microSD card — microSD cards are awesome Your Next Phone Needs a MicroSD Card Slot -- Here's Why Your Next Phone Needs a MicroSD Card Slot -- Here's Why Some popular phones don't have microSD card slots -- but a lot still do, and you need one! Read More , by the way. The lowest priced Android laplet you can get away with is the RCA Viking Pro 10. It includes a keyboard, a 1280 x 768 TN screen, and mediocre specs. While the specs appear anemic compared to its Windows counterparts, on Android the Viking should run apps fluidly. Overall, it’s a solid device for handling basic computing tasks, such as email, word processing, basic photo editing, music, and more. Most reviewers stayed far away from the Viking Pro, mainly on account of its weak specifications. Even so, the Viking Pro is reported to offer snappiness and portability. 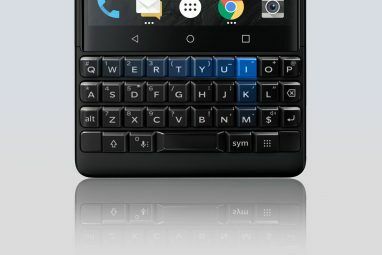 But unlike many of its competitors, it includes a modern version of Android (Lollipop). Don’t expect any software updates, by the way. Chromebooks Looking For A New Laptop? Get A Chromebook Instead! Looking For A New Laptop? Get A Chromebook Instead! Read More do not sell for $100 — the lowest suggested retail price hovers around $150. 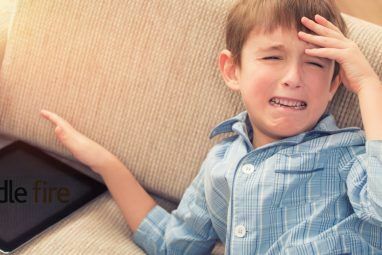 Chromebooks offer immunity to malware and come without manufacturer-included bloatware. On top of that, Chromebooks are almost universally snappy, reliable, and offer long battery life. On the downside, they won’t run Windows applications. At the $150 price point, there’s another drawback: no big brand names exist. To the extent of my knowledge, there’s only a single white label fabrication facility which supplies different manufacturers. A few examples: Hisense, Haier, and Poin2 (and probably a few others). As you can see from the screenshot below, Haier, Hisense, and Poin2 all appear to sell an identical Chromebook but with different branding. Should You Buy a $100 Laptop? Most reviewers rely on a perverse logic to make product recommendations: for $50 more you can get a better device. That’s always true up until you hit thousands of dollars. For those of you looking to save some money, you absolutely can get away with a $100 or $150 device, provided your needs are modest — but for those looking for a powerful PC, you will need to spend at least $500 The 5 Best Laptops Under $500 in 2016 The 5 Best Laptops Under $500 in 2016 It's surprising how little you have to spend to get a good laptop these days. Whether you're getting ready to go back to school or just need a new notebook PC for work, you can... Read More . If you’re planning a vacation, a disposable laplet might offer a better solution. What’s the cheapest laptop you’ve ever bought? What were your experiences? Explore more about: Android Tablet, Buying Tips, Chromebook, Windows Tablet. I'd recommend just going into Ebay and get a nice cheap PC running Intel Core 2 duo T9300 or better. That way it's definitely should be good enough for normal use when you load FreeBSD/Linux onto it. I'm considering an Ematic 8.9. Any thoughts? I want to stay under $100 and just want to use it for basic browsing, e-reading and light Office work. Hi Keith, that computer is OK if you're looking for something disposable. But a better buy is the refurbished Asus Transformer going on sale over at Newegg this morning. It's running for $100 with a $15 MIR. It's only good for today. Please don't buy a $100 laptop. PLEASE. You'll only encourage them to make more and laptops are a place where you'll get what you pay for. Instead, look for a used or lease returned Thunkpad T - something like a T420, or a Dell Latitude or HP Elitebook. You'll wind up with an i5 with 4 or 8GB RAM but a machine that us well built, has cheap spare parts and was designed to be fixed if it breaks. These things are a bargain and they're definitely out there and available, and they will be better than most new bargain basement laptops. The $100 market exists for two reasons: Portability and disposability. There's one group where people might need those two features and that's travelers. For someone who needs a portable workstation, they should almost certainly prefer a refurb, provided it comes with some kind of warranty. Hilariously, I know someone who purchased a $100 laptop (2/1) for travel to South America. The laptop held up to the rigors of travel and continued functioning well past when it should have died. It's now going on its third year as his primary computer. The only reason he can get away with it is because he doesn't need a workstation. He just needs email. I had both the Teclast and Onda Chinese iPad Air clones that both ran Windows 10 with Android both costing less than $200 using the same 9.7" LCD as the iPad Air. I paired them with a Bluetooth keyboard (which I already owned) and they both made for pretty good laptops. There are a lot of sub $200 Chinese windows 10 tablets/laptops out there that will get the job done. I have a $100 Voyo Windows 10 desktop PC that's fantastic and is powwered off of micro USB, has 2gb ram and 64g storage with a built in battery. Also waiting to see the Superbook when it comes out after its kickstarter. It's a $100 "Laptop" that uses your Android phone for its processing and mates it to a 12"ish screen and keyboard...Things like this and RemixOS make for an entirely usable Android laptop. Superbook sounds interesting. Looking forwarding to getting my hands on one. The cheapest one I've ever bought was a HP15 with 500 GB of storage for data two years ago at Walmart for$199.89, I've been told I got a steal. It's my first one at 62 yrs young and I'm perty brutal to it and it is still going strong. Hey Bruce, thanks for sharing! That sounds like it has a Haswell processor. If so, that was a really good deal!